Rodney and Magic are our House Rabbits. They live in the house and are litter trained. They are able to run around the upstairs and the downstairs of the house! They follow us around the house and play together all the time. Rodney was our first House Rabbit back in 2003. Two girlfriends later he is now living with Magic. Anyone can watch Magic and Rodney playing during the day as we have a webcam installed next to their cage. Anyone with internet or WAP access can view Rodney and Magic. In fact Rodney made local, national and international newspaper headlines with his high number of viewers! (See FAQ Press Scrapbook for more info). We think Rodney and Magic should win Bolton Evening News Pet Idol because they are so cute, so unique and so well loved not just by their family but the large number of online groupies who watch them via the webcam. We hope you enjoy the website, the pictures, and the webcam. You are more than welcome to contact us for further information. 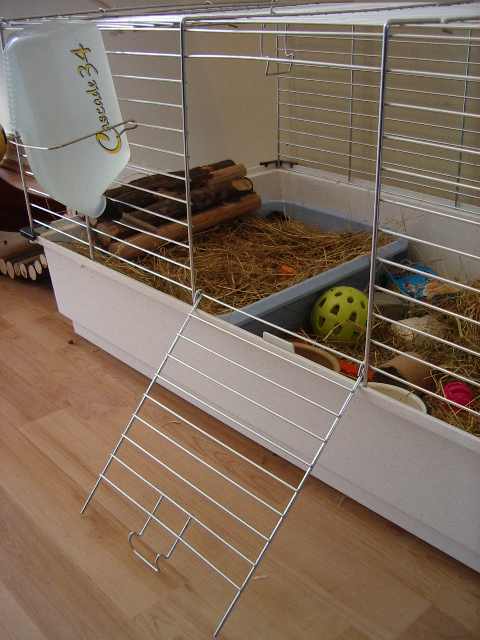 Preferred Pet Supplies Establishments Northern Pet Supplies, Ramsbottom. Neutered: Snipped on May 14th 2003, by Vetcare, Sale. Trainers or my speaker cable for my home cinema system, esp. if you consider how much trunking it took to ensure that it doesn't happen again! PS Ensure your partners are on board before you take a house bunny as it takes weeks to totally bunny proof the house....trust me.